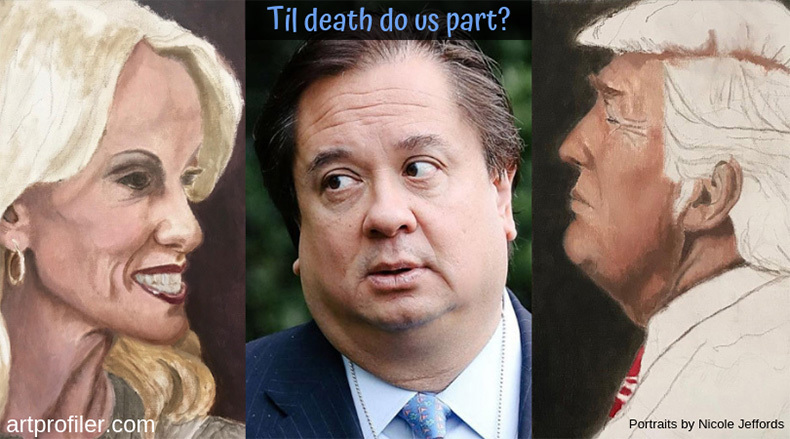 George Conway is the latest recipient of Trump’s Twitter attacks. Conway, a frequent criticizer of the Oval Office occupant, fired back with no less than twenty-four tweets insinuating that the president suffers from malignant narcissism. While neither Conway nor I are medical professionals, I agree with him. If you look up the definition of narcissistic personality disorder, Trump is a perfect example. Interestingly, Kellyanne defended the president over her husband in a phone interview with Politico. One thing is certain. Kellyanne Conway is not an idiot. She may be on the wrong side of history, but she’s smart and has a lot of ambition. How her marriage is still in one piece after a public two year feud between her husband and her boss remains a mystery. But it leaves me wondering, what is her end game? Before Conway, Trump’s latest war of words was against the late John McCain just three days ago, and today he is complaining that he was never thanked for giving McCain the funeral he would have wanted. WTF?! It appears as if the president is unraveling as pressure mounts and speculation swirls about what will be revealed in the (hopefully coming out soon) Mueller report, not to mention the multiple investigations underway of the Trump Organization and his entire family.